Mary Read was born illegitimately in England in the late 17th century. Her mother was a widow of a sea captain, and thus sea faring life was in her blood. 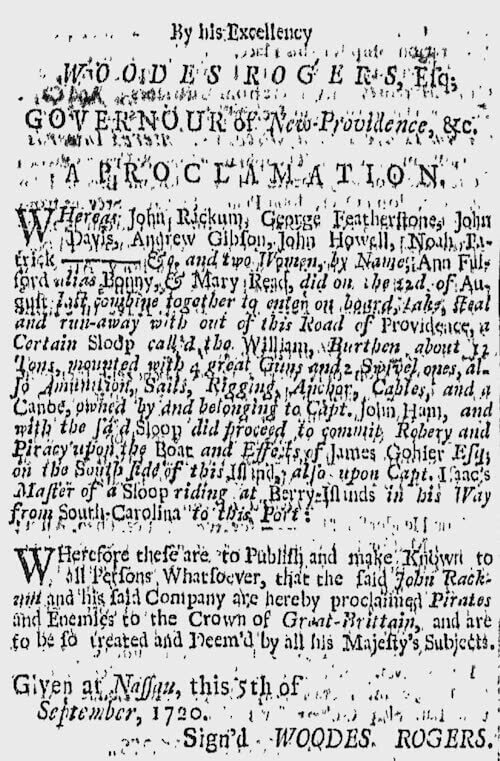 There is much dispute over her actual birthday, with Captain Charles Johnson in his primary source document, A General History of Pyrates (1724) referring to it being around the Treaty of Ryswick which occurred in 1691. As Read was growing up she was disguised as a boy after the death of her older brother. This was done in order to continue receiving support from his grandmother. This occurred for many years until Read was a teenager. Eventually she found employment aboard a ship, still dressed as a boy. She later joined the British Royal Navy possibly during the War of the Spanish Succession and proved herself in battle. Read eventually fell in love with another soldier and they married. Read used her wedding gifts to fund an in called The Three Horseshoes near Breda Castle in the Netherlands. When her husband died she once again dressed as a man and boarded a ship headed for the West Indies. One day as Read was sailing with the rest of her crew it was taken by pirates who forced her to join. Eventually in 1718 she took the kings pardon and had a short career as a privateer until her and the crew mutinied. 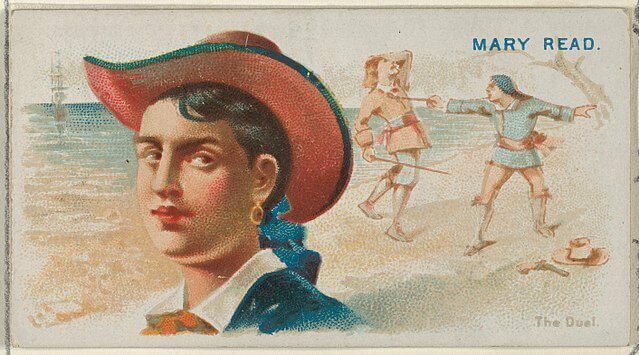 In 1720 she joined 'Calico' Jack Rackham and Anne Bonny. Dressed as a man initially, the two had no idea Read was a women until Bonny began approaching Read romantically. This forced Read to reveal her status. At first Rackham was highly jealous of Read and Bonny's relationship and when Rackham threatened to cut Read's throat, Bonny revealed the secret to him. Rackham decided to hang the pirate code and let both women stay aboard his ship. 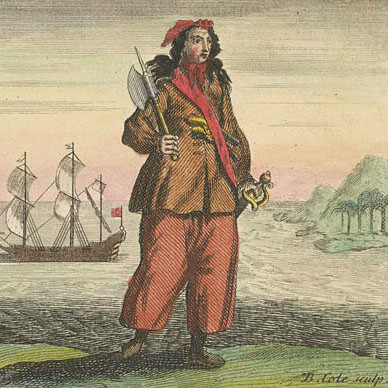 Mary Read was a competent and able sailor and pirate. She was known to kill soldiers with ease and was also a regular member of the crew, with very few ever guessing her true gender. During their ventures in 1720 Read fell in love with a prisoner and was surprised to learn the prisoner was a women as well. 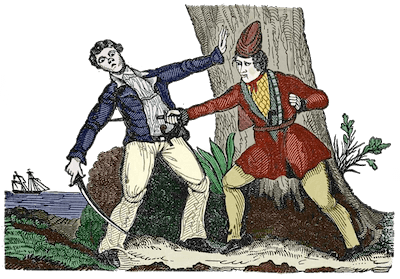 This did not change her affections and when one of the pirates on the crew challenged the prisoner to a duel Read killed the pirate in a secret early duel and eventually married the women. In October of 1720 pirate hunter Captain Jonathan Barnet captured Rackham and his crew including Bonny and Read while they were having a party off the coast of British Jamaica. After a broadside crippled their mast and rigging, Rackham and the crew fled to the hold to drink the rest of the rum in anticipation of being captured. Read and Bonny were the only ones left to fight the boarding party. Some accounts also suggest that Rackham and the entire crew were too drunk to fight the hunters.